It’s a crazy world we live in and I’m not even going to try to add to the noise in the immediate aftermath of the shooting in Las Vegas. It’s been a heartbreaking couple of days. 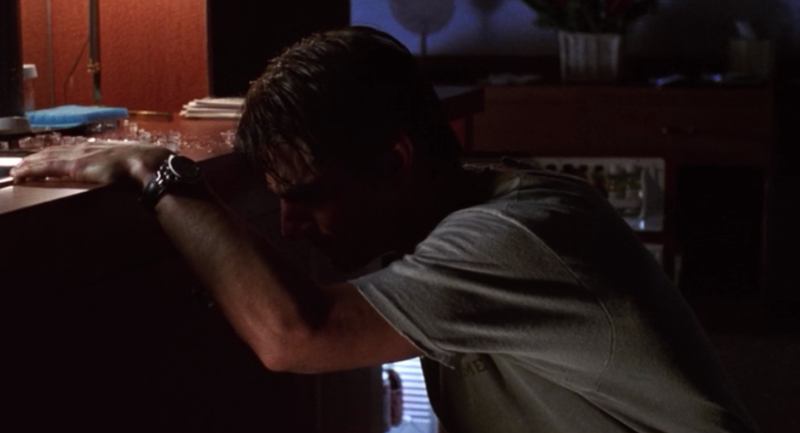 But in hopes of keeping this blog on track, here’s a clip from the movie Jerry Maguire starring Tom Cruise and featuring the music of Tom Petty (who died yesterday), followed by that section of the script by Cameron Crowe showing that emotional song was not an afterthought. P.S. I grew up in Florida in the 70s, went to college in Miami in the early 80s and especially enjoy the Scarface to Cocaine Cowboys retelling of stories from that era. American Made puts its own topspin on the “same thing, only different” school of Hollywood filmmaking and I enjoyed the ride. Nice touch by director Doug Liman and editing crew for adding Linda Ronstadt’s 1977 version of Blue Bayou to the American Made soundtrack. P.P.S. Speaking of American made, in this 2010 post I mentioned that Tom Cruise, Johnny Depp, and George Cooney all lived in Kentucky at one point in the late 60s or early 70s. You can add Harry Dean Stanton, Jennifer Lawrence, and The Father of Film to the list from the Bluegrass State. Oh, and actress Sarah Wright, who plays Tom Cruise’s wife in American Made—she’s from Kentucky, too. The Firm became a best-selling book and then a film starring Tom Cruise based on a script by David Rabe, Robert Towne & David Rayfiel. Cinematographers are a bunch a liars and cheaters. Screenwriters, too. In a good way, of course. It’s all part of the job. Just doing their part in creating a world of make believe. For instance, Jerry Maguire didn’t really exist. Sure there were composites of real people he was based on, but he was a fictional character out of the cranium of writer/director Cameron Crowe. 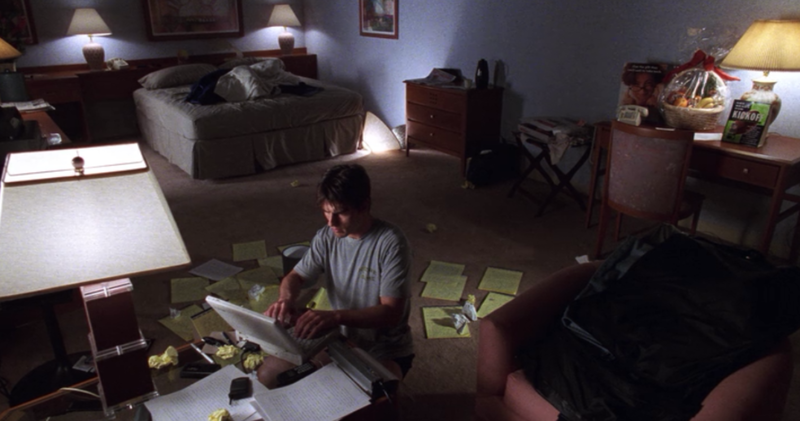 Look at the screenshot below of Jerry Maguire (Tom Cruise) and what do you see? Can you see how cinematographer Janusz Kaminski lied and cheated to help bring that character to life? So in that well-known Jerry Maguire mission statement scene Kaminski does various things to make the scene visually interesting. He turns all the lamp lights on (even turn one on its side on the ground) in one shot, but in another place he turns all the lights off and allows what supposed to be exterior light (streetlights?) to stream in with rain pouring off the windows creating patterns on the walls, and in another place he uses an open small refrigerator to help illumine the scene. All to make it visually interesting and to meet the writer/directors expectations of a character having an epiphany . P.S. Countdown to 2000th special post on January 22, 2015—17 posts.